Mohan Raja said that he decided to cast Fahadh in Velaikkaran as he can motivate his directors to do a better job. 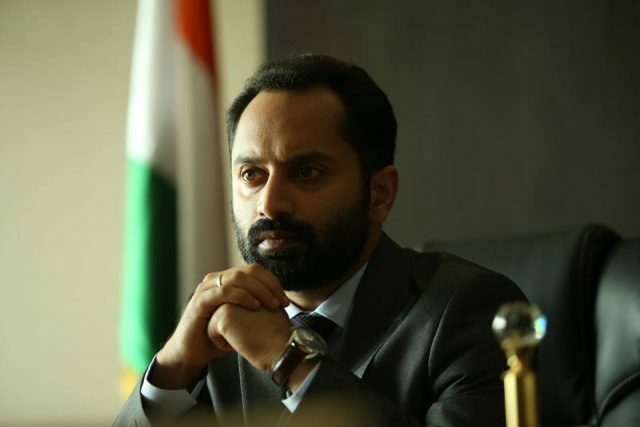 Malayalam actor Fahadh Faasil will soon be making his debut in Tamil cinema with the eagerly-awaited ‘Velaikkaran’. And. as expected, this has created quite a buzz amongst fans. During a recent interaction with a leading daily, director Mohan Raja said that he decided to cast Fahadh in his film as he is a terrific actor who motivates his directors to do better. “After Thani Oruvan, I wanted to evolve as a better director and for that, I believed I had to come up with an even superior antagonist. So, instead of creating the character and casting the actor, I wanted to rope in an actor who would inspire me to create such an antagonist. With Fahadh on board, I knew I had the best and my challenge was to give him a role that would feed off of his thirst as a performer. It motivated me to create something great and after watching the output, I believe I am on the right track,” he added. Mohan Raja went on to add that working with Fahadh was an awesome experience as he reinforced his belief in how an actor must truly live the characters he essays on the big screen. “I have always believed that an actor’s job is not just between action and cut if he has to constantly do better. It starts with the lifestyle you live, how you perceive your life and how you treat the others around you. Fahadh reinforced my beliefs in that regard,” he added. Well, we are sure that Fahadh’s fans will be quite thrilled by Mohan Raja’s kind words. In case you did not know, ‘Velaikkaran’ is touted to be an action-thriller and features Sivakarthikeyan-Nayanthara in the lead. The film is slated to hit screens next month and has already created a buzz amongst fans thanks to its gripping posters. So, do you feel that Fahadh will be able to work his magic in Tamil cinema as well? Talk to us in the space below.